With a spoon made of a metal of my own composition, after I've paralyzed the resistance of the will with a narcotic, I carefully remove the cerebrum; I leave the cerebellum, which is sufficient for bestial life, and I deposit the poor cerebrum in the most limpid water, where it bathes entirely at its ease and is penetrated with freshness. 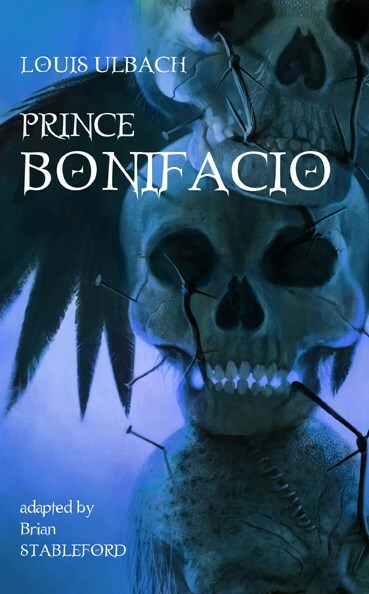 Prince Bonifacio (1864) is a bold conte philosophique, which sets out to mock politics in the scathing fashion of Voltaire and Jonathan Swift, mimicking the form of folktales, but substituting pseudoscientific speculation for magic, and adding an element of satire directed against "mad scientists." This collection also includes three historical stories that flirt with supernatural themes, and two that are innovative endeavors on the margins of the roman scientifique. Louis Ulbach was one the fieriest Romantics, notorious for his pugnacious diatribes against Emile Zola published in Le Figaro under the pseudonym of "Ferragus." The Original Conclusion of "The Little Red Man"